The Child Passenger Protection Act requires that all children under age 8 be properly secured in an appropriate child safety restraint system. This includes the use of booster seats, which must only be used with a lap/shoulder safety belt. If the back seat of the vehicle is not equipped with lap/shoulder type safety belts, a child weighing more than 40 pounds may be transported in the back seat without a booster seat, secured with a lap belt only. 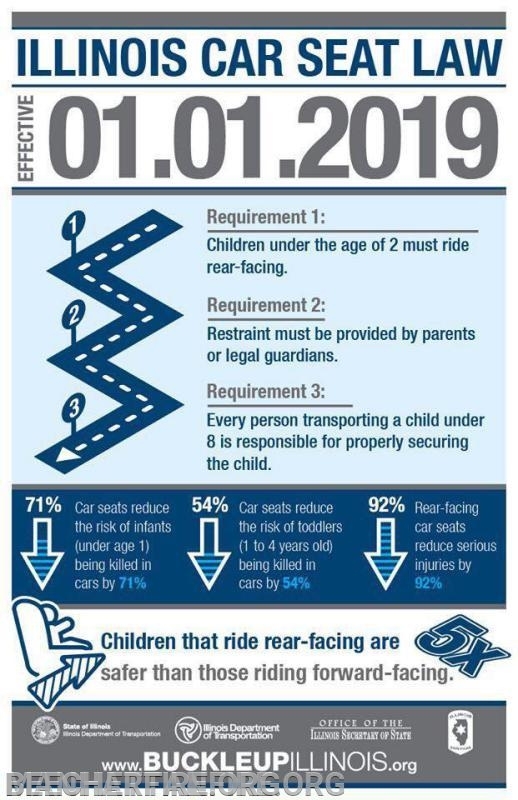 As of January 1, 2019 the Child Passenger Protection Act is amended to include the requirement for children under age 2 years to be properly secured in a rear-facing child restraint system unless the child weighs 40 or more pounds or are 40 or more inches tall. Always read and follow the child safety seat and vehicle manufacturer’s instructions for installation and height/weight guidelines. Effective Jan. 1, 2019, Illinois law will require children under age 2 to be properly secured in a rear-facing child restraint system unless they weigh more than 40 pounds or are more than 40 inches tall. Children must remain rear-facing until age 2. Children riding rear-facing may use a rear-facing only car seat or a convertible car seat installed rear-facing. Always follow the car seat manufacturers harnessing instructions and height and weight limitations for a rear-facing installation. - Never install a rear-facing safety seat in front of an active airbag. 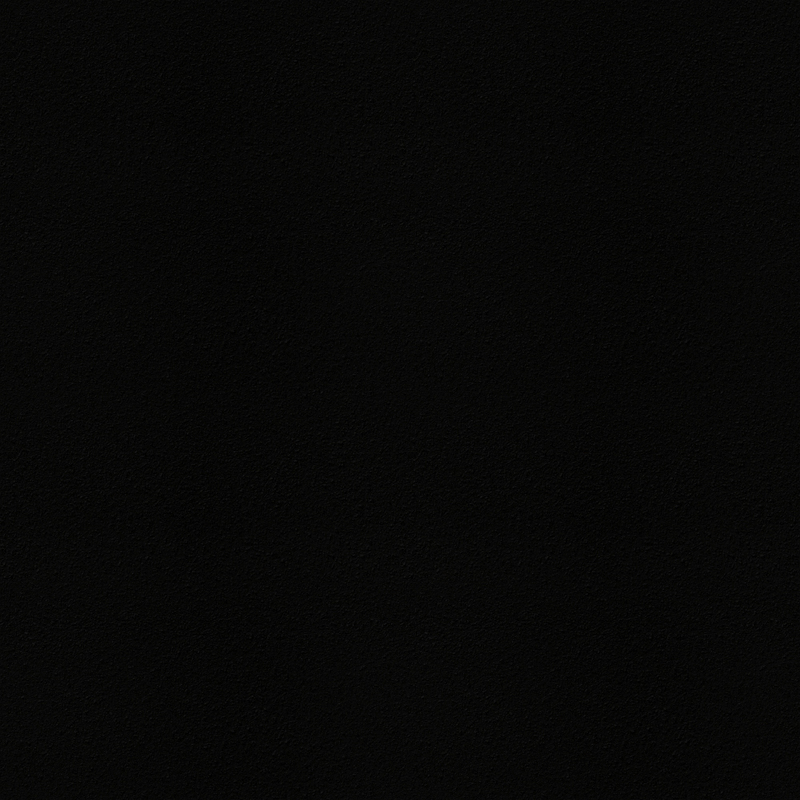 - Follow the recline indicator for rear-facing installation. - The child’s head may need at least 1 inch or more below the top of the safety seat when rear-facing. - Use the harness straps/slots at or below shoulder level when rear-facing. - Harness straps must be snug on the child; the harness clip should be at armpit level. Children should remain in a rear-facing safety seat for as long as possible, or until they are at the upper height or weight limit of the seat. When a child out- grows a rear-facing safety seat, he or she may transition to a forward-facing seat with a harness system. - Use the internal harness system until the upper height or weight limit is reached. - Use harness straps/slots at or above shoulder level when forward-facing. - The top of the child’s ears should not be above the top of the car seat when forward-facing. Children should be secured in a forward-facing safety seat with an internal harness system until they reach the upper height or weight limit allowed by the car seat manufacturer. When a child outgrows the forward-facing seat, he or she may transition to a belt-positioning booster seat. - Booster seats must be used with the vehicle’s lap and shoulder belt, never just a lap belt. - The lap belt should lie low across the upper thighs, not the stomach. The shoulder belt should rest snugly across the shoulder and chest, not across the neck or face. - The top of the child’s ears should not be above the top of the back of a booster seat with a back. - If using a backless booster seat, the vehicle’s head restraint must be positioned properly. - Secure the booster seat with the vehicle’s seat belt when not in use. Children should stay in a belt-positioning booster seat until they are tall enough to properly fit in an adult lap/shoulder belt. - The vehicle lap belt must lie low across the upper thighs, not the stomach. The shoulder belt should rest snugly across the shoulder and chest, not across the neck or face. - The child’s back and hips should be against the back of the vehicle seat, without slouching. - Knees should bend easily over the front edge of the vehicle seat with the feet flat on the floor. - Keep children in rear-facing safety seats as long as possible. - Keep children in the back seat at least through age 12. - Never place a rear-facing safety seat in front of an active airbag. - A used safety seat may not be safe unless you know the history of the seat and all labels, parts, and instructions are present. - Always register your safety seat with the manufacturer so you can be notified of recalls. - Do not use a safety seat that is more than six years old or past the expiration date stamped on the seat. - Non-regulated products such as toys attached to the safety seat, mirrors, window shades, and belt-tightening tools are not recommended unless the safety seat manufacturer allows their use. - All objects in the vehicle should be stowed in the trunk or tied down, as they can become projectiles if a crash or sudden stop occurs. The Secretary of State’s office offers educational presentations in an effort to ensure the protection and safety of our children on Illinois roadways. This program can be tailored to your group size and time allotment and is subject to technician availability. The different types of safety seats, basic safety seat installation, crash dynamics, child passenger safety laws and the importance of proper seat belt use will be discussed. To schedule a Child Passenger Safety Presentation, please fill out the Traffic Safety Program Request form and select Child Passenger Safety Presentation or call 866-247-0213. The Secretary of State’s office provides child safety seat inspections by certified child safety seat technicians at many Driver Services facilities throughout the state through its Keep Me In a Safe Seat Program. I encourage you to schedule a visit at one of these fitting stations to ensure that your child is in the appropriate child safety seat and that it is installed properly in your vehicle. To schedule a child safety seat inspection, please fill out the Request a Child Safety Seat Inspection form or call 866-247-0213. - It is unlawful for any person to willfully cause or permit the life or health of a child under the age of 18 to be endangered or to willfully cause or permit a child to be placed in circumstances that endanger the child's life or health, except that it is not unlawful for a person to relinquish a child in accordance with the Abandoned Newborn Infant Protection Act. - A person who leaves a child 6 years of age or younger unattended in a motor vehicle for more than 10 minutes is in violation of the law. - Unattended means either: not accompanied by a person 14 years of age or older; or if accompanied by a person 14 years of age or older, out of sight of that person. - A violation of this Section is a Class A misdemeanor which means up to one year in jail and up to a $2,500 fine. - A second violation is a Class 3 felony meaning 2 to 5 years in prison and up to a $25,000 fine. - A violation that causes the death of the child is a Class 3 felony for which a person, if sentenced to prison, shall be sentenced to a term of two years and up to 10 years.